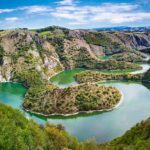 Head into the heart of Serbia and embark on a spiritual adventure through the cultural centre of the country. Located in the wilderness of the valley of the Ibar river – a place renowned for the sea of lilacs planted here by kings past professing their love – you will find some of the nation’s most sacred sites. Chief among those is the centuries-old guardian of the valley and sentry keeping watch over the road between the Great Morava Valley and Kosovo Polje, the Maglic Fortress. 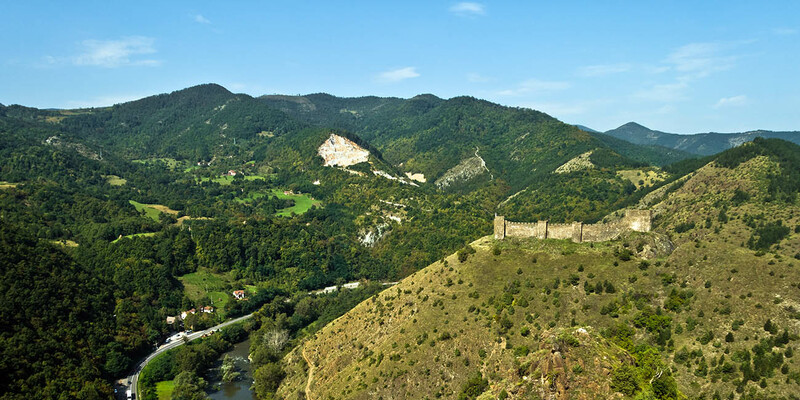 Strategically placed atop a steep hill and surrounded by lush mountainous terrain, the Maglic Fortress is situated some 20 km away from Kraljevo, at the entrance to the valley of the Ibar river. 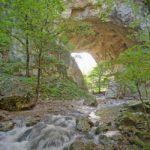 The valley provides you with an opportunity to take a journey through time, with some of Serbia’s most treasured religious sites spread throughout. During your journey you will have the chance to visit the Zica, Studenica, Djurdjevi Stupovi and Sopocani monasteries, which coupled with the Maglic Fortress, make for an adventure fit for any culture vulture. 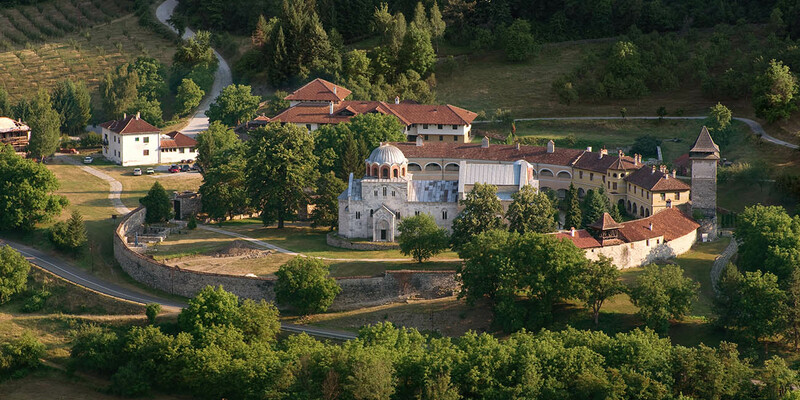 Your spiritual journey through the valley starts at the Zica monastery, located just 10 km from Kraljevo. Founded by Stefan the First-Crowned during the 13th century, Zica celebrated 800 years of existence in 2008. Saint Sava, founder of the Serbian Orthodox Church, chose this monastery as seat of the Archbishop for all Serbian lands in 1219, which makes this among the most significant religious sites in the country. Furthermore, Stefan the First-Crowned was proclaimed king of Serbia in the church of the Holy Dormition, located within the monastery. Today, however, the tall red walls of Zica are home to some 30 nuns. 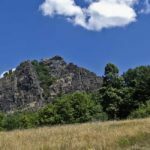 Heading further along the Ibar highway, you will see the Maglic Fortress on your right hand side as you pass between the mountains Stolovi and Cemerno. Stop here and head uphill by foot to reach the fortress, which is certainly the highlight of the valley. If you’re after the kind of views money can’t buy however, then include a hike atop the Stolovi mountain to your adventure. Continuing further south along the Ibar highway, you will come across Usce, a small settlement located at the confluence of the Studenica and Ibar river. Turn off the highway here and after some 11 km you will come across the UNESCO World Heritage Site, the Studenica Monastery. Stefan the First-Crowned also founded this monastery, though his sons Vukan and Sava finished building it, as the king left for Hilandar. Within the monastery grounds you will find two churches, each built of white marble, and each housing priceless 13th and 14th century Byzantine frescoes. 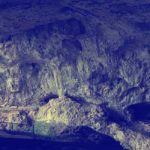 Next, head back to the Ibar highway and continue south, and the road will take you to Brvenik, a ruined medieval fortress located atop a cliff, looking over the Ibar river. Brvenik is located at the confluence of the Brvenica and Ibar rivers and is located about 560 m above sea level. From here, the road will take you to Serbia’s historically significant town of Rascia, where Grand Prince Stefan Nemanja formed the first Serbian state. Continuing from here, along the Ibar highway toward Novi Pazar, you will see the church of the Holy Apostles St. Peter and Paul on the left hand side – this is oldest example of Serbian church architecture. Following the church, the Djurdjevi Stupovi monastery comes next and is located some 4 km from Novi Pazar. Grand Prince Stefan Nemanja constructed this monastery in the late-12th century and dedicated it to St. George. The monastery was abandoned in the 17th century, though its remains have been preserved and made accessible for visitors. Finally, heading past Novi Pazar, your spiritual adventure will take you to Stari Ras, one of the first capitals of medieval Serbia. The unenclosed ruined medieval fortress is located 11 km west of Novi Pazar and was founded before the 9th century. 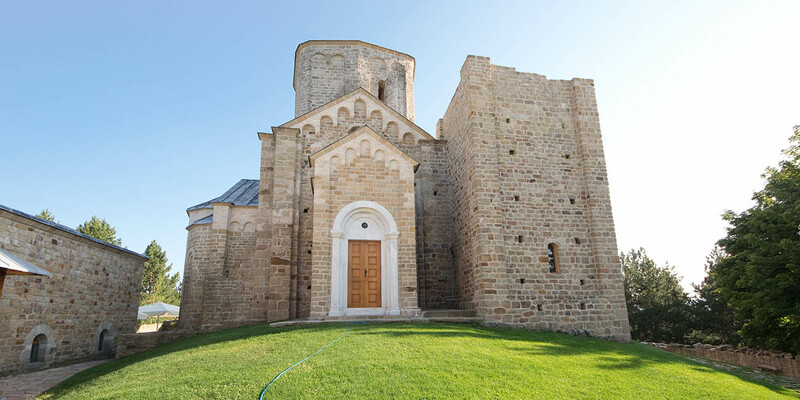 Nearby you may find the Sopocani monastery, the last of which the Maglic Fortress protects. King Stefan Uros I built the Sopocani Monastery during the mid-to-late 13th century and together with Stari Ras it is considered a UNESCO World Heritage Site. The exact build date of the Maglic Fortress remains unknown and is thought to have been around in some form or another since the Byzantine Empire. There are several theories suggesting who built today’s iteration of the fortress, however. Some point to Danilo II, a very decorated figure, who among other titles was an army commander that managed to successfully defend the Hilandar Monastery. Another theory suggests that King Stefan the First-Crowned erected this imposing military fortification. Though, there’s other historic information that suggests that it may have been King Uros I that built Maglic. In any case, King Uros I planted a sea of lilacs in the valley, as to profess his love for princess Helen of Anjou. Thus, the valley of the Ibar river is also known as the Valley of the Lilacs. One final theory suggests that Wretched Jerina, wife of the Serbian despot Djuradj Brankovic built the military fortification around the same time. Despite this, the people continued to hate her, though it is for this reason that Maglic is sometimes referred to as Jerinin Grad (Jerina’s City). The Maglic Fortress boasts 8 towers connected by 2 m thick ramparts. Together with its strategic position, which is protected by the Ibar river from three sides as it winds around the hill, the military structure is nothing short of imposing. Though the fortress was once in a dilapidated state, efforts to bring life back to the structure have been fruitful. You may now climb atop the fortress walls by utilising wooden ladders. Also, if you’re passing by during the evening, don’t worry about missing the fortress as its newly installed lights now draw the attention of passers by in the distance. For views that money can’t buy, however, head atop the nearby Stolovi mountain for jaw dropping views of the fortress and valley combined. Visit the Maglic Fortress during a clear sunny day, as a steep ascent awaits as you make your way to the the fortress. A local regatta, Merry Descent takes place in July and up to 3,000 vessels participate, making their way downstream from the Maglic Fortress to Kraljevo. The tourist organisation of Kraljevo hosts the Lilac Days festival every May. If you’re feeling romantic, then visit the Maglic Fortress on Valentine’s Day, when you may participate in the Kiss Me Festival. The city of Kraljevo is your gateway to visiting the Maglic Fortress and the valley of the Ibar river. Head south along the Ibar highway as you make your way from Kraljevo. The highway winds alongside the river for which it is named. Click below to see some maps of your route from Serbia’s largest cities. 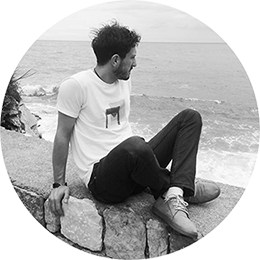 Blagota has a passion for books, music and painting. 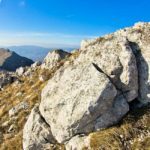 The mountainous terrain of Montenegro sits atop his list of favourite travel destinations, though the rest of the world isn't too far behind. Wherever he goes, whether it's atop the snowy Kopaonik, or along the soft sand of Novi Sad's Strand, nose diving into a book is on the agenda.